Professional Concrete Cutters & Core Drilling Experts. Servicing areas from The Tweed, Gold Coast to Brisbane and Surrounds. Searching for reliable tradies? Call us for all your concrete sawing & core drilling requirements. We at Cut It Out Concrete Sawing & Core Drilling pride ourselves on our reliable, professional and clean services. Providing obligation free quotes and inspections of the work to be required, no job is too small for us! Cut It Out Concrete Sawing & Core Drilling provides services to the Domestic and Commercial Building & Construction Industries in the Gold Coast, Northern New South Wales (Byron Bay, Lennox Heads, Tweed) and Brisbane areas. 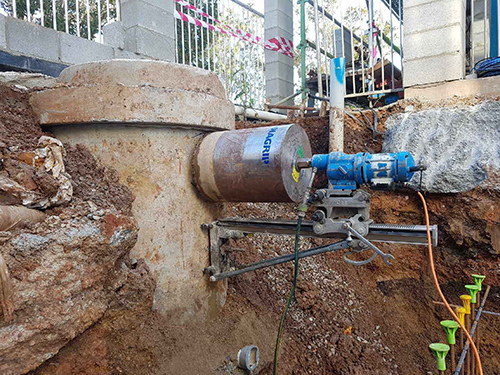 Offering multiple concrete core drilling services, both hand held and drill rig mounted systems, drilling through floors and walls starting from 14mm up to 400 mm + in diameter. We can drill almost to any depth starting from 5 mm. Out Concrete Cutters use small road saws that can fit into tighter spaces e.g. smaller entrances & doorways. And a large powerful road saw suitable for jobs with a lot of metres to cut. 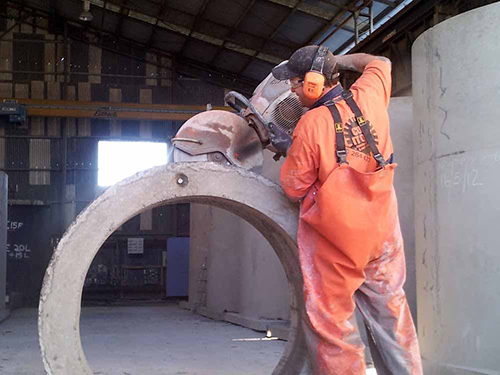 We offer multiple concrete cutting services using Petrol, Diesel, Electric or High-Frequency equipment. We are highly experienced in the installation of fixed, surface mounted and removable bollards. 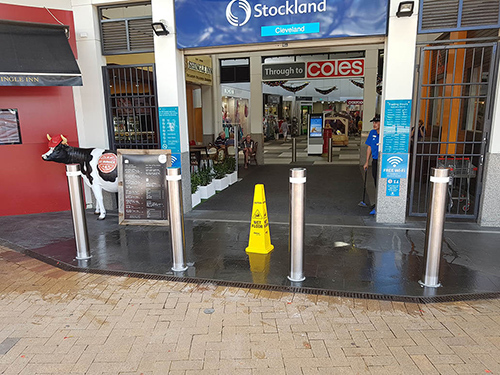 If you are looking for added security around your shop/carpark or complex then call us for a quote to install your bollards. We provide obligation free quotes and inspections. No job is too small or too large for us. We service the domestic market as well as private businesses and government organisations. High quality service. They were very mindful of not cutting into areas where there maybe electric or plumbing services. Very efficient, precise and well priced. Highly recommended! Professional and reliable, Cut it Out always respond quickly and endeavour to complete all projects in a timely manner. A pleasure to work with. Have dealt with Kris & Joe for over 5 years on a variety of projects and scope of works. Absolutely a pleasure to deal with, outstanding workmanship and top people to boot!!! Cant recommend them enough!!! Very happy with Chris & Joe went over and above to try and accomodate our situation and time frame, very professional service, great people to deal with. Would not hesitate to recommend this company. Servicing Gold Coast, Brisbane and Tweed Heads Areas! Cut It Out Concrete Sawing & Core Drilling are proud supporters of this amazing children’s charity.